The last week of September, Vertical Access attended the hottest conference in preservation: APT International’s 50th anniversary celebration happening in Buffalo and the Niagara Region of Canada. Fifty years ago, a group of preservation and conservation professionals from both the United States and Canada came together in New Richmond, Quebec to form a new organization called The Association for Preservation Technology International (APT). 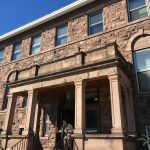 APT is a is a multi-disciplinary, membership organization dedicated to promoting the best technology for conserving/preserving historic structures and their settings. This joint American-Canadian organization has grown to include chapters around the world. It is only fitting that this year’s conference was held in Buffalo with events and celebrations on both sides of the border. The conference billed itself as “a point of departure for our next 50 years”, alluding to the fact that at one point in history, Buffalo was one of the most important points of departure on the continent. (Coordinated by Patrick Capruso): Quarried in Orleans County near the town for which it was named, Medina sandstone was prized by builders and architects for its inherent strength and beauty. Fourteen attendees joined the all-day, Medina Sandstone Field Session as part of APT 2018. The field session included a visit to the Medina Sandstone Hall of Fame where the Medina Sandstone Society offered programming on the stone’s mineral composition, an in-depth look at life in and around the quarries, and the socioeconomic impact that the quarrying industry had on the region. 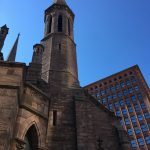 Following lunch in Medina, the trolley was bound for Buffalo for site visits at several ecclesiastic landmarks and the Richardson Olmsted Campus. 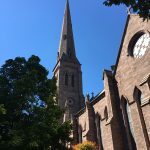 Mike Lennon, of Flynn Battaglia Architects, provided insight into preservation efforts at St. Paul’s Episcopal Cathedral and First Presbyterian Church. At St. Louis RC Church, the Church historian and a member of the Board of Trustees highlighted the parish’s past restoration campaigns. 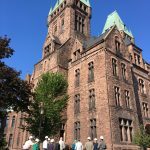 Finally, our docent at the Richardson Olmsted Campus gave a whirlwind hardhat tour of the site’s exterior façades and a glimpse of an interior space slated for redevelopment. 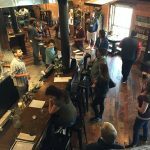 (Co-coordinated by Kristen Olson): Preservation By the Pint was a driving tour of adaptive use sites where craft beverage producers have rehabilitated existing and historic structures representing three very different areas of Buffalo. 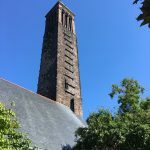 Along the way, session co-planner Courtney Creenan-Chorley pointed out historic structures that remain from the city’s incredibly rich history of brewing and malting. At our first stop, above, Ethan Cox of Community Beer Works showed us their newly-rehabilitated 7th Street space and gave a fascinating history of brewing in Buffalo, from tavern days through the post-Prohibition decline of independent breweries, to the revival of craft brewing in the 1970s and 80s and the current brewing renaissance. Ethan literally wrote the book on Buffalo’s rich brewing history; he is the co-author of Buffalo Beer: The History of Brewing in the Nickel City. 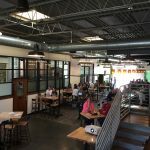 He also described some of the technical aspects of converting an existing building for a brewery, utilizing tax credits, and the inherent challenges of locating in a historic neighborhood with older utilities, all driven by the community ethic central to the business’ identity. 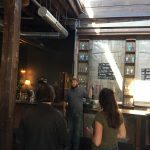 Next, we traveled to the mixed-use First Ward neighborhood where Adam Bystran, head distiller at Lakeward Spirits, walked us through the transformation of the Barrel Factory, a historic manufacturing building just one block off the Buffalo River. 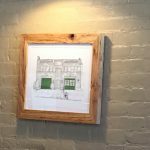 Adam and his family took on a true labor of love in rehabilitating the 1903 manufacturing structure into apartments, an event center, and commercial spaces including a brewery and distillery (and more). 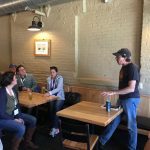 Many of the attendees in our group are working on or have worked on craft beverage projects, and impressed Adam with their questions about code issues and utilities needs! 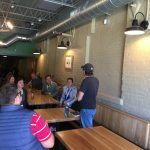 Our final stop was Big Ditch Brewing’s downtown taproom and production facility, an adaptive use project completed in 2015. Where are we in the world with preservation technology? How has the field changed in 50 years? 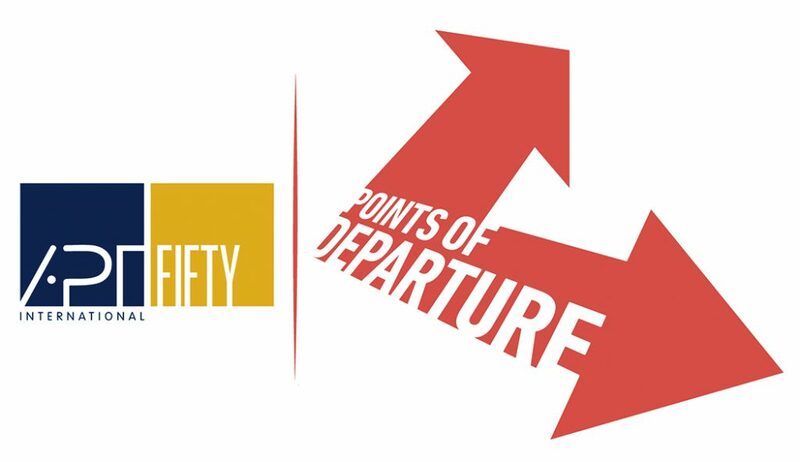 What new formula will we need for the next 50? What are the new challenges? How can we be more mainstream, less specialized? As the field matures, who are the partners we must collaborate with to remain vital? How will authenticity, resilience and changing technologies guide us? 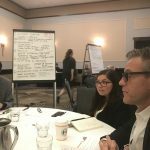 With a keynote presentation, summaries of the conference plenary sessions, small group break-outs and facilitated discussion, a facilitator and Technical Committee leaders worked with participants to create a vision for the Next Fifty. The first break-out session focused on the context and trends in preservation as a whole, while the second break-out looked at these issues through the lens of APT’s six technical committees. In wrapping up the symposium, the discussion focused on how to turn this vision into action. The findings and discussions of the symposium will be summarized by the symposium organizers and made available to APT membership. We thoroughly enjoyed exploring with our colleagues all that is possible in preservation for The Next 50 Years. Vertical Access was a Bronze Sponsor of the conference this year. 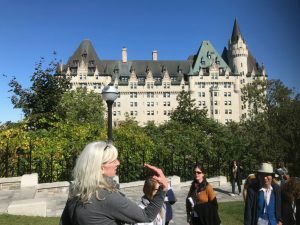 Last October, the Association for Preservation Technology International (APT) and the National Trust for Canada held CAPITALizing on HERITAGE: COMMUNITY, GOVERNMENT and SAVOIR-FAIRE in Ottawa. The joint conference showcased 190 speakers and over 40 exhibitors. With roughly 1,100 attendees and more than 20 countries represented, the four-day event became the largest heritage conference ever held in Canada. CAPITALizing on HERITAGE was my first APT Annual Conference and fueled by a shameful amount of readily available coffee I made my way around paper sessions, banquets, and plenary discussions. Compared to regional APT symposia, the programming was diverse and immense with focuses ranging from the archeological unearthing and documentation of Nova Scotia’s built heritage to an exploration of Ontario’s northern wilderness in search of the rugged landscapes immortalized in paintings by the Group of Seven. Seven paper tracks covered topics as diverse as cultural landscapes, non-destructive testing, heritage advocacy, the economics of preservation, engineering, and sustainability. Program book in hand, I raced around the conference level to catch specific presentations, curating a personal agenda that offered talks on architectural diagnostics and documentation as well as those that were distinctly Canadian like heritage values and the rights of Canada’s First Nations people. 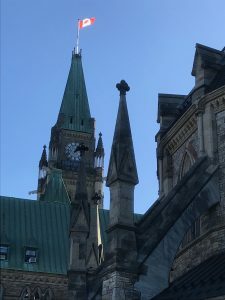 Thanks in large part to programming arranged by the National Trust for Canada, the duality of Ottawa’s existence as both a modern capital city and the unseeded ancestral territory of the Algonquin Anishinabe was never lost on those who attended the conference. This constant reminder sparked conversations that are simply not being discussed in the United States. 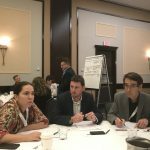 For every learning opportunity CAPITALizing on HERITAGE offered there was an occasion to network and reconnect. It became apparent that the social aspect of the event alone was worth the registration. 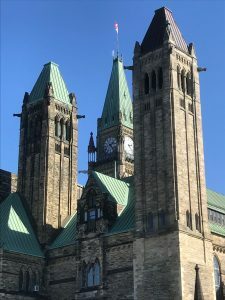 In Ottawa, I attended the first meeting of the Technical Committee for Materials, talked shop with a former employer, shared a bottle of wine with new contacts, and was introduced to several leading authorities in preservation. I was happy to catch up with familiar faces from previous APT symposia as well. For someone who is relatively new to the field and APT, the Annual Conference offered an unparalleled opportunity to network. WASHINGTON – Today, the Department of Transportation’s Federal Aviation Administration has finalized the first operational rules (PDF) for routine commercial use of small unmanned aircraft systems (UAS or “drones”), opening pathways towards fully integrating UAS into the nation’s airspace. These new regulations work to harness new innovations safely, to spur job growth, advance critical scientific research and save lives. On April 30, 2015 the New York Landmarks Conservancy presented their annual prestigious Lucy G. Moses Preservation Awards for outstanding preservation projects in New York City. Vertical Access is proud to have been part of the team that received recognition for the restoration of the Conrad B. Duberstein U. S. Courthouse in Brooklyn, NY. 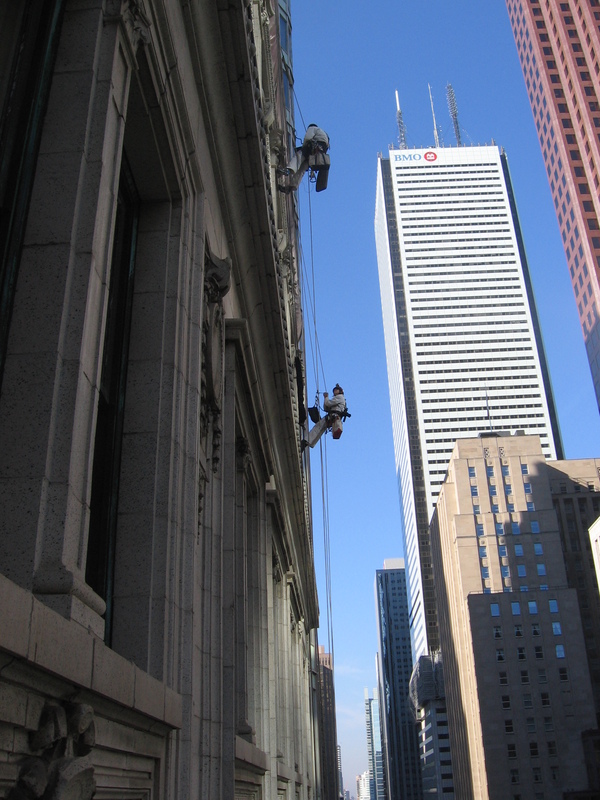 A recent article in the Daily Commercial News describes the process of rehabilitating historic buildings – called heritage buildings in Canada – and mentions Vertical Access’ investigation of One King West, the former Dominion Bank Building in Toronto, Ontario. The article recaps a seminar presentation by Sarah Gray, managing principal with Halsall Associates, our client for the One King West project. Ms. Gray highlighted the importance of archival research, testing, and inspection in the early stages of a repair or rehabilitation project. For One King West, Vertical Access provided a hands-on inspection and documentation of building conditions using TPAS™, the Tablet PC Annotation System. TPAS is now being used for the construction administration of the rehabilitation of One King West, demonstrating the flexibility and adaptability of the software for a variety of documentation and reporting needs. The article, entitled “Heritage envelope rehab a balancing act”, was written by Dan O’Reilly and was published on January 5, 2015. A recent Cornell study exposes the ugly truth about New York’s antiquated Section 240 of the Labor Law, more commonly known as the scaffold law. The law was created in 1885 and has remained unchanged over the years, in spite of greatly improved materials, methods, safety procedures and safety equipment. The law was put into effect in the days when contractors used wooden scaffolding to build high-rise buildings in New York City. Today, no other state in the country has such a law. In fact, the Cornell study suggests there is no other law like it on the planet. 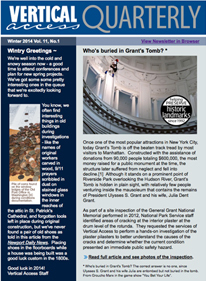 Check out our February 2014 Quarterly newsletter. One of the state-specific challenges of doing business in New York has to do with two little-known New York State Labor Law statutes from the late 19th Century. Described as necessary and good laws when they were passed in 1885, things have changed in the last century, particularly with the advent of mandatory Workers’ Compensation insurance and federal Occupational Safety and Health Administration (OSHA) regulations passed in the early 1970s. Intended to protect construction workers and also known as NYS Labor Laws 240/241, these statutes place “absolute liability” on the contractor and building owner for injuries or fatalities resulting from a fall from height. In cases such as this, the entire onus is on the employer and no findings of liability on the part of the employee are permitted. Liability on the part of the employer is assumed in all cases and the concept of proportionality of responsibility or use of recalcitrant worker or culpable conduct defense may not be considered by the courts and by statute, are considered irrelevant to these cases. Findings of fault without a jury trial or damages result and judgment are made by a trial judge. However, since the defendant (employer) is de-facto guilty and cannot defend against claims, virtually all of these cases result in a guilty judgment or a settlement associated with very high costs for the insurance companies involved. Hearings for settlement amounts are made in front of a jury and since the guilty judgement has already been rendered, the awards tend to be “huge”. If they are held at all, mediation hearings essentially determine the amount of damages, since culpability has been established by statute. At one time, all 50 states had similar legislation on their books but with the exception of New York State, these were all repealed or reformed subsequent to OSHA and worker’s compensation legislation. As a result, worker’s compensation is the sole recourse in these states unless negligence can be demonstrated on the part of the employer. Similar to the other 49 states, proposed reform of New York State’s 240/241 will not eliminate the rights of a worker to sue an employer for negligence but will allow employers to defend themselves in court. Reform would allow owners/contractors to present evidence, which is not presently allowed. All of this has resulted in a toxic insurance environment in New York State, with general liability and worker’s compensation premiums for companies that employ workers at height far exceeding the average rates in the rest of the country. Many insurance companies have left the New York State market because of the high frequency of successful claims, their inability to defend against claims and the severity of the rewards that result. 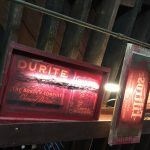 240/241 statures are kept in place due to political influence brought to bear primarily by labor unions and various New York State tort lawyer associations. Since a percentage of the awards are taken by the law firm, 240/241 cases represent very little risk associated with extremely high rewards to law firms trying these cases. Minor risk with very high, guaranteed returns result in a steady income stream for these law firms. Essentially, all a plaintiff’s attorney must do is establish the case as a 240/241 legal case. Historically, these cases have been broadly interpreted and are rarely turned down by the courts. Once in the courts, high rewards are all but guaranteed. Once a summary judgment is granted, interest is applied at 9% per year until the case is finally resolved. In the last year, I have attended two excellent programs on this topic. The first was organized in March 2013 by the Greater New York Construction User Council. The second was in mid-January of this year, and was organized by the New York City Master Riggers Association, which hosted keynote speaker Tom Stebbins of the Lawsuit Reform Alliance of New York. Tom presented historic background on 240/241, comparisons to insurance costs in other states and an excellent overview of the current situation in Albany. LRANY has also organized an industry lobbying day in Albany, set for early February. A link to download the presentation is provided below. The issue of New York’s Labor Laws 240/241 is one that needs to be addressed. It is a major reason for the high cost of construction and buildings maintenance in New York State and is significant contributor to a lack of competitiveness both between neighboring states as well as within the state. Contractors and Workers at Odds Over Scaffold Law, by Kirk Semple, New York Times, December 17, 2013. Mike Gilbert and Keith Luscinski traveled to Golden, Colorado this month to attend the 2012 conference for the Society of Professional Rope Access Technicians (SPRAT). SPRAT is an organization comprised of individuals, companies, and agencies that have a stake in the safe development of rope access standards and practices. Although SPRAT is based in the United States, its scope is international. Currently, SPRAT members hail from the USA, Canada, Mexico, South America, and Europe. The membership includes individual practitioners, companies that provide rope access services, training or equipment, and government agencies. Mike Gilbert, Level 3 SPRAT certified. Location: Jefferson Market Library, New York City. Photo by Ken Kobland. 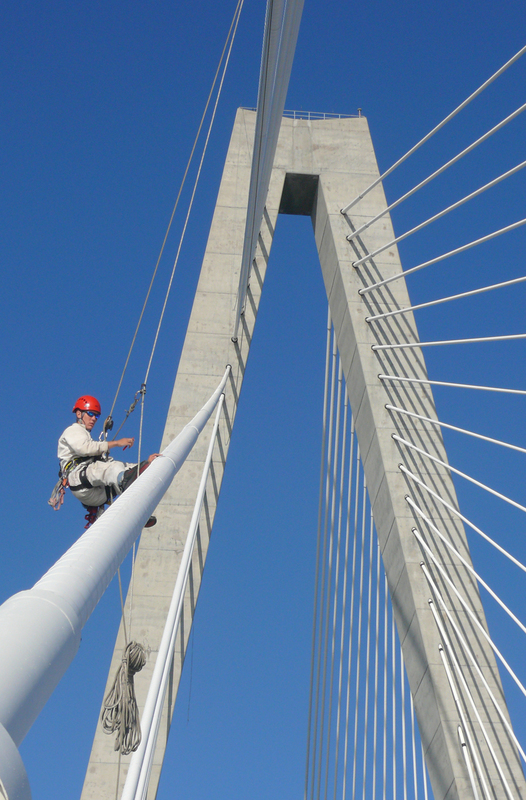 SPRAT supports rope access practitioners with certification programs, regulatory support, networking, and opportunities to participate in developing industry-consensus standards. The key elements of the conference took place on Thursday and Friday, January 12 and 13. Keith Luscinski, Level 3 SPRAT Certified. Location: Arthur Ravenel Bridge, Charleston, SC. Photo by Vertical Access. On Thursday afternoon, a meeting was held by the Standards Committee, which comprises all SPRAT members. The Standards Committee oversees the key subcommittees that maintain and promulgate the current SPRAT standards and formulate new standards. SPRAT has recently been seeing growth in new countries and industries, which was certainly evidenced by the committee’s attendance. Members were present from the USA, Canada, Mexico, Venezuela, Denmark, Sweden, Belgium, and Turkey, as well as from the window cleaning, chimney repair and telecommunication sectors. Vertical Access, however, was one of only a few firms representing the East Coast. An interesting new development by the Standards Committee is the introduction of a rope access company audit program. This effort is the purview of the Company Audit Subcommittee. Keith attended the subcommittee meeting Thursday afternoon. Intended to be a voluntary process, the audit would add distinction to businesses that are fully SPRAT compliant. Currently, SPRAT certifies individual technicians but has no process for evaluations at the employer level. This year will likely see a handful of trial runs of the audit program, with a full implementation of the program within the next few years. Vertical Access is interested in this program, and will likely participate in the “beta testing”. Friday was primarily given over to presentations by the SPRAT membership and interested outside parties and without a doubt, the hottest topic at the conference was Petzl’s presentation of its recent statement regarding the Shunt backup device. 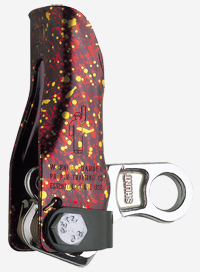 Used by the majority of industrial rope access technicians in the United States, the Shunt has been an inexpensive, lightweight and user-friendly fall-protection/backup device for over fifteen years. Petzl’s recent statement addresses the hazard of an uncontrolled descent should the user either fail to let go of the Shunt or grab the Shunt in the event of a fall or working line failure. While this hazard has been acknowledged by Petzl and rope access practitioners for years, recent testing suggested the previous policy of allowing the Shunt to be used by trained technicians does not adequately mitigate the hazard. The conclusion is that in spite of our best intentions, we cannot train panic. As part of the statement, Petzl advises against the use of the device for industrial rope access applications. Many industrial rope access companies are now searching for other backup devices that are “panic proof,” meaning that they will arrest a fall even if grabbed by the user. While every occupation has its hazards, historical data shows an exceedingly low rate of major injuries to industrial rope access technicians. 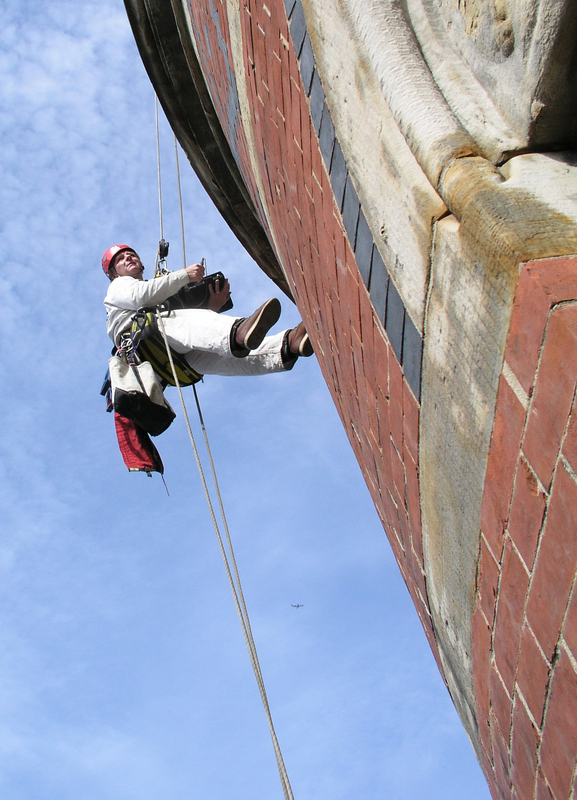 See statistics gathered by the Industrial Rope Access Trade Association. SPRAT is reviewing its evaluation criteria in light of the previously ubiquitous use of the Shunt device. Vertical Access will begin using an alternative device, while we all await the development of the ideal backup device. Attention all inventors…..
Eighty fall protection professionals representing the fall protection industry throughout the US and Canada gathered in Boulder, Colorado over three days in November to continue moving forward the Z359 fall protection code from the American National Standards Institute (ANSI). Kelly Streeter travels out to this meeting twice a year to take part in this consensus standard writing process. Vertical Access originally became involved in order to be an active subcommittee member of the Z359.8 group: Safety Requirements for Suspended Rope Systems. Chaired by Loui McCurley, representing the Society of Rope Access Technicians (SPRAT), the document is nearly ready to go to the full committee for ballot. For the past year, Kelly has been the chairperson along with co-chair Steve Hudson, from PMI, of the Z359.9 subcommittee which is tasked with creating the standard for Personal Equipment for Protection Against Falls – Descending Devices. This standard reaches far beyond the world of industrial rope access as we know it at Vertical Access and includes six different types of descenders including devices that are intended solely for rescue purposes. The benefit of these meetings is not only to work on the Fall Protection Code, but also to connect with fall protection professionals outside of the Industrial Rope Access industry.